Oh how I wish I could show you pictures of the fully painted shed. Unfortunately life and Mother Nature are slowing things down a little. 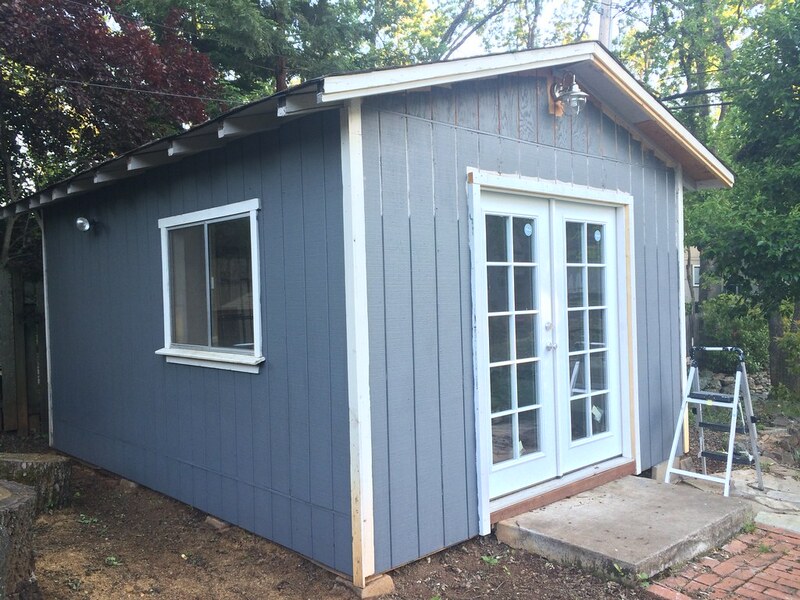 Right now we have a partially painted shed. At least with this photo you can really see how the color is coming together. The first side we painted is 100% done. I started on the front, but I still need to finish the first coat on the rest. We would have gotten more done but between scattered thunderstorms throughout the week, working late, and babysitting my niece, the shed kind of took a back-seat this week. Storage – This will be in the very back of the shed hidden by curtains. Photo/video studio – We’ll utilize the curtains in front of the storage area as a backdrop. 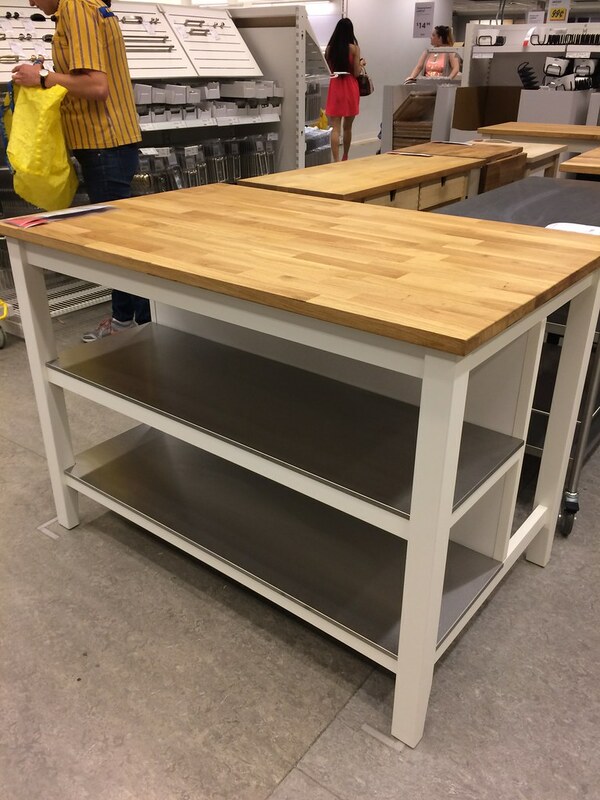 Crafts – We want to get the IKEA STENSTORP Kitchen Island to be our crafting station. Relaxation – Under the window we’ll get either a love-seat or some comfy chairs and an area rug. The IKEA STENSTORP Kitchen Island. As I mentioned above, we would want to use this as our craft table. That way we can store bins of supplies on the shelves, and because the tabletop is butcher-block it won’t be a big deal if it gets nicked by an Xacto knife. 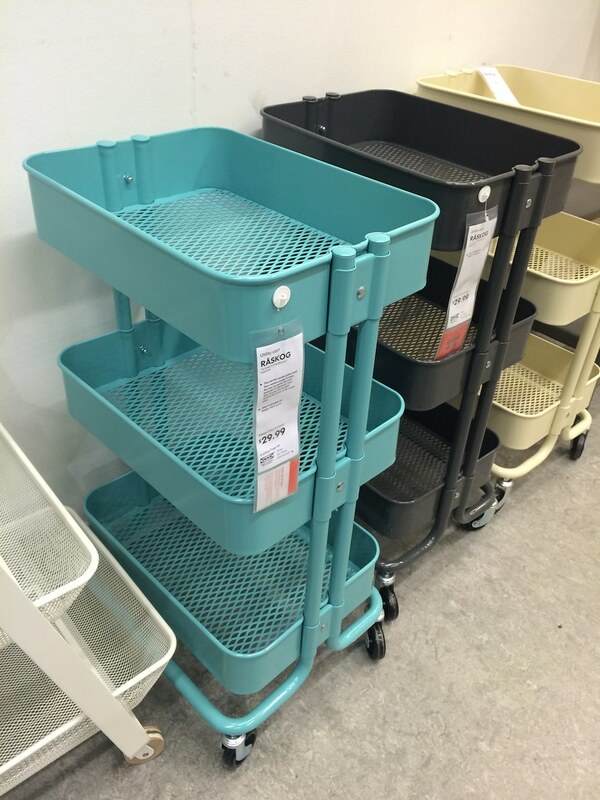 The RÅSKOG Utility cart. I’m excited to finally have an excuse to get this adorable cart! 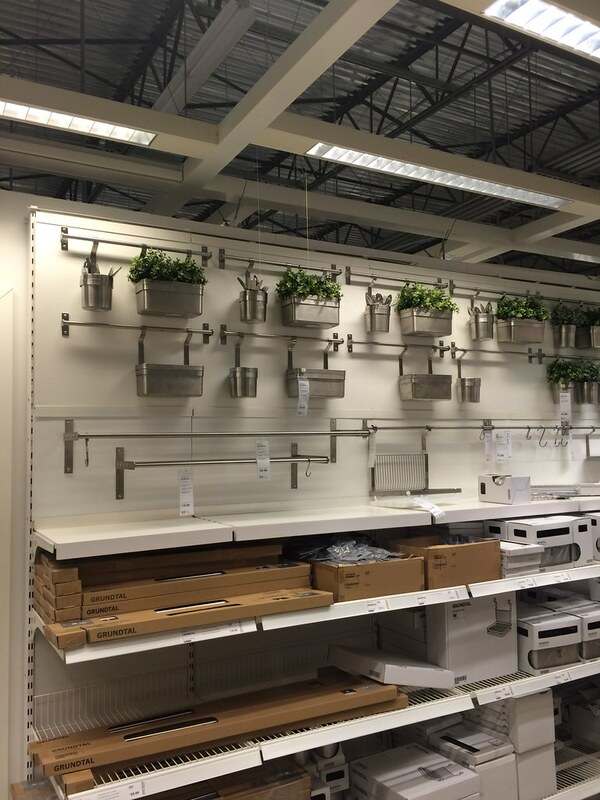 And we’d probably find a way to incorporate the GRUNDTAL series for storage. Honestly I’m a little nervous about being able to get the shed finished in two weeks. Gonna keep going though! Wow, it’s looking amazing so far! It’s so cool that you’re going to be having different sections for different things – I bet it will be great when you’re done! I’m not sure if I’d end up doing a group Watchmen costume, because a lot of my friends don’t really know what it is. Andy would definitely be the Comedian though, so it’d be a couples costume at least. Good luck getting everything finished!